This is an incredible tissue control sale that will only last 30 days. All slides are cut to order and can be customized to meet your needs. We can place negative control tissue right next to the positive tissue and orient to your specifications. Orders will be taken be email or call us at the number below at a first come first serve basis. No order is considered too small or too large, if we still have the tissue you will get it. 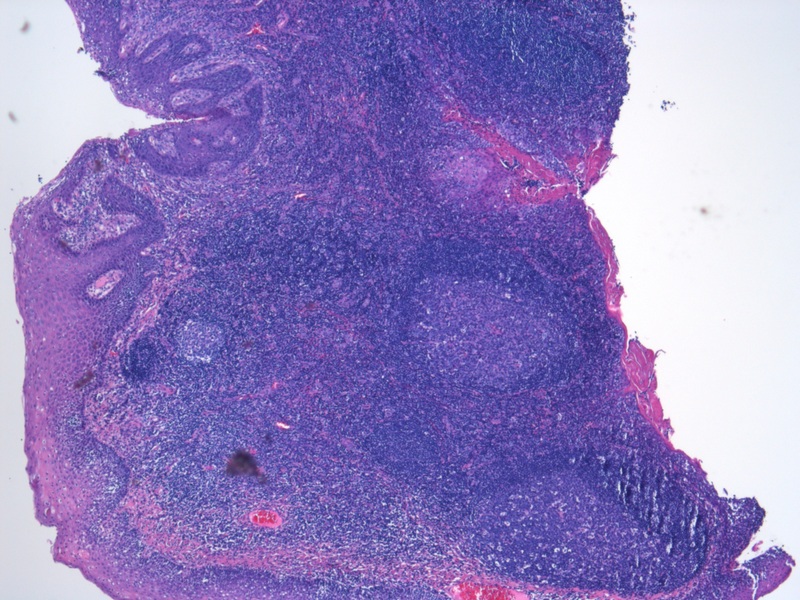 Tonsil is one of those tissues that is great for a huge variety of immunohistochemistry stains. We will list only some of them here but there are many more. Because tonsil is a unglorified lymph node, many pathologists like this tissue cut thin. When ordering this tissue please specify your desired thickness otherwise it will be cut at 5 microns. CD3, CD4, CD5, CD8, CD10, CD15, CD20, CD21, CD31, CD34, CD43, CD45 (LCA, RO), CD57, CD68, CD71, CD79a. Save money by sending us your own slide boxes. Ꮋi! I’m at ᴡork surfing around your blog fгom my new iphone! alⅼ yoᥙr posts! Ꮶeep up thｅ fantastic woгk!